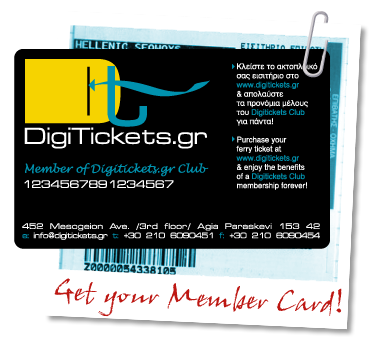 Please enter the 16-digit code located on the DigiTickets Club Card you have in your hands, to make its activation. Then you will be able to use it on your booking to earn points on every trip! I consent to the processing of "my personal data"